with all initial reaction to a 15mm lens is "wow they look huge in my eyes" and I feel like it doesnt look right without makeup to really frame them in but after a while you get used to that feeling and actually enjoy the look of them in the eyes, what I like about this lens is that the rims are brown colored as well as the whole lens so they look some what more natural than having the typical black rims. The pattern are very unique and blends in nicely, I do like the look of this lens a lot but I have to say it did feel tad bit on the dry side so it did make my eyes uncomfortable after a few hours of wear. I LOVE grey lenses and so I was excited to wear this lens since it is grey lol well after soaking in the lenses for good 8+ hours I tried it on for the first time, immediately after putting in the first pair my eyes felt like there were something in them, it was the same feeling as the princess mimi lens that I has issues with before with the defective lens that I encountered so I immediately took it out and cleaned it once more them tried it on again then this time it felt normal so I was glad that it wasnt defective I think that the 15mm lenses sometimes feels uncomfortable at first because of its size. so after wearing them for few days I can say that they are comfortable but I can only wear them for short period of time before my eyes starts to feel dry, so I dont recommend them for long wear. The color are somewhat opaque but not so much vibrant but the patterns and the tricolor does looks really pretty against my dark brown eyes. I have to say I truly adore the mimi aka bambi series because of their pattern on the lenses and how they are tricolored lenses but they are not great for long wear because of its size and can look overwhelmingly huge in the eyes. I do wish I could get my hands on the original Bambi lenses cause I like 14.5mm lenses way more or wished that mimi came in smaller diameter because they are one of the prettiest lenses Geo makes. At first I wasnt too sure if I like the reddish brown shade of this lens but after wearing them they are strikingly pretty and vibrant in the eyes, I really like how the inner rim of the lenses are much more vibrant and gives off a nice effect. Ok so this lens is the only 14.5mm out of the bunch and I have to tell you I find this lens to be very comfortable and natural, it is not vibrant at all but only gives off slight color changes against my dark brown eyes but gives off enough enlarging effect that I truly adore. If you are looking for a lens that will give off subtle enlargement to your dark colored eyes then you will like this lens. If you are interested in the lenses K-circlelens.com have offered to sponsor a giveaway to my readers! 2 winner will receive a gift certificate worth US$25 on any lens from their website! 1+ if you retweeted this giveaway "I entered in giveaway from K-circlelens.com at http://www.ekiblog.com/"
I'd like to try any lens in violet or pink, maybe blue. I really would like to try the Princess Mimi Almond Brown..
and your pics and video are so clean & professional!!! super super super kawaii!! !could you please do a makeup tutorial on this look?I love your purple eyeshadow eyemakeupso lovely! I would love to try the Almond Brown contact lenses! So pretty and natural looking! Great review video - you have such a sweet, soft voice! @coco_chenel on twitter and write.to.connie[at]gmail.com/connie chen on facebook. i've never tried circle lenses before but i want to! i really life the grey waffle one you reviewed about but am afraid of it drying out. YAY i'm so entering this one! Thank you for your giveaway, eki! 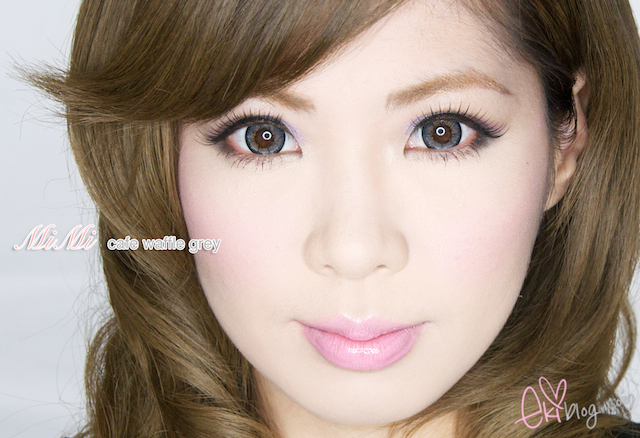 I'd really love to try out the Mimi Cafe Waffle Grey lenses! I've been following your blog since FOREVER. You are definitely my #1 cosmetic, fashion, style, ect guru. You always look so darn pretty! Thank you for all the giveaway chances. It really makes me smile! Anyways I liked the Facebook page, my name is Ty Cruz (Tahynis) and my Twitter is @pekobear. I retweeted and reblogged! Sorry about the repost.. the format came out wierd..
im interested in trying out the Mimi Cafe Macchiato Brown! it looked great on you!! I would like to try out the Geo Mimi Cafe Waffle Grey :-) I love how the grey looked blue! @asiancookieayu I retweeted ;D ! 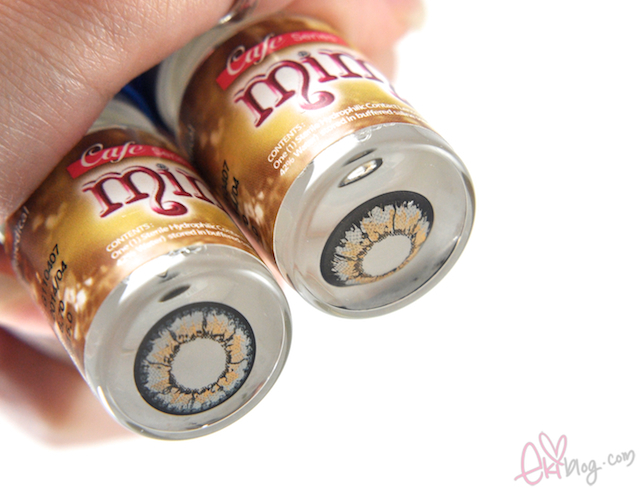 THE pair of lenses I've been dying to try out for almost 2 years now are the Princess Mimi chocolate brown DDD': !!!! I own the green ones and they are by far my favorite lenses >w< ♥♥♥ !!! even my mom and sister who doesn't really like all my other pair of circle lenses (I own a few, with prescription for my everyday use, but they are not all that natural looking ^^') , do tell me that they also love the effect and color of the Princess Mimi apple green ^^ ~ and so, that's why (plus from the fact that I've been eyeing these gorgeous lenses way before they finally came out on sale) I would love to try these out as I'm sure i'll love them as much as my greens and that (since I have natural very dark brown/black eyes) they'll look natural but dolly and will give out a nice effect to my eyes :3 ♥♥♥ !!! I'm interested in trying out the macchiato brown or almond brown ones! I'd love to try the Princess Mimi Chocolate Browns! :) I've been trying so hard to find them at a reliable cheap site, and all of my favorite Gyaru models have been raving about it! I'd like to try the Mimi grey! Facebook: Maria SorjonenI'd like to try Geo Mimi Cafe macchiato brown ones ! I would really love to try the Chocolate Brown lense! i don't have anything larger than 14.5mm lenses so i'm really curious how much larger the 15mm may look..but considering your review that they get dry easily, i'm really hesitant to put down the money (i don't wear contacts normally purely because i hate the feeling of dryness in my eyes). Also the Chocolate Brown lens look so vibrant! *___* i love how it's this warmer brown that's vibrant without it being some crazy looking color...definitely gives off a dewey kinda look! My email is japanese_cherrie.com, my facebook name is Victoria Law, and I would be delighted to try the Geo Mimi Café in Macchiato Brown.Thanks, Eki and sponsors! Eki these lenses look great on you, i really like how unique the pattern looks. Hey Eki! I'm not really in this for the giveaway. I've just noticed an online shop on Facebook using your photos of some geolenses and I was uncertain as to whether or not it was authorized use of your intellectual property. It's been watermarked as specifically theirs, but I'm certain that some sample photos of the products they're selling are your photos from your blog. I just wanted to inform you of this, but it is to your discretion as to what you can do. The shop is http://www.facebook.com/media/set/?set=a.163906693662249.48358.100001287595333 or Effeminatus Shop if searched on facebook and they used multiple pictures. Just thought you should be aware. 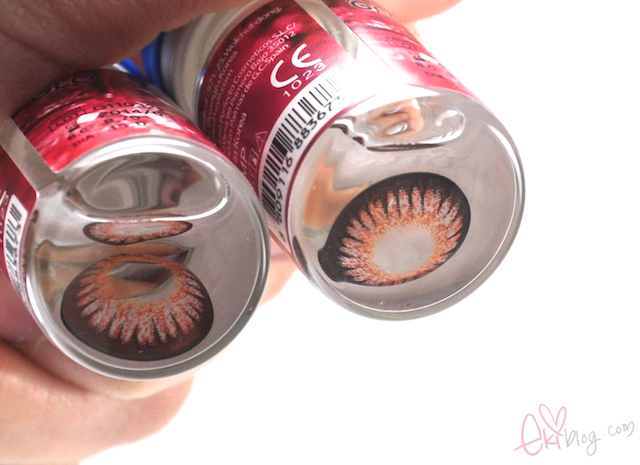 I want to try out the Hyper Circle Brown lenses. I would love to try out the new adult pink lens! I would love to try the almond brown lenses! I love your eyes > u <"!!!! lens : geo angel brown, eos honey brown. liked the K-circlelens.net FB page! I'm interested in Geo Mimi Café Macchiato Brown! I would love to try the Angel Blue. I read your blog as Wonder Woman on GFC. I liked k-circlelens.com as Angeline Rodriguez on FB. I have liked the Facebook page. 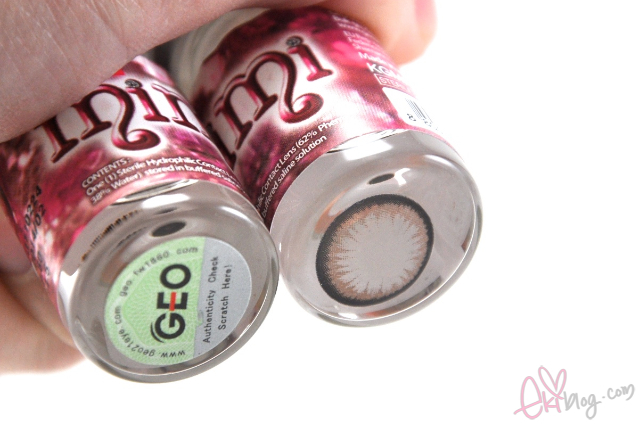 I am interested in trying out the GEO Morning Glory Color Contacts, Brown 15mm . I love the color it's very natural and beautiful. Wow! 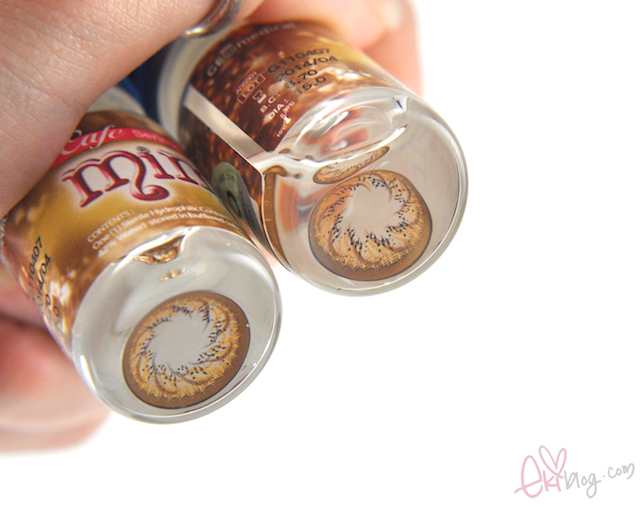 I'm really looking into getting cirlce lens ^^ But I'm looking for a long term usage for like a whole day or so, I especially love the macciato brown one ^^ Its a slightly subtle brightening effect for you eyes! How long did you typically wear your lens until you were in discomfort? Did they really last for 1 year? Also, do you know of any circle lens brands that have a high water content? I liked the fb page with "Kelly Anderson"
Please check you review, all GEO Cafe Mimi Series should be 42% water content. Thanks !